As a back country technician you often wear many hats, make sure you're ready in the event of a traumatic injury. Working in the back country has its dangers, make sure you're prepared with the Rapid Response Trauma Pak with QuikClot® is designed to stop bleeding and control serious trauma at the scene so more advanced care can be sought later. 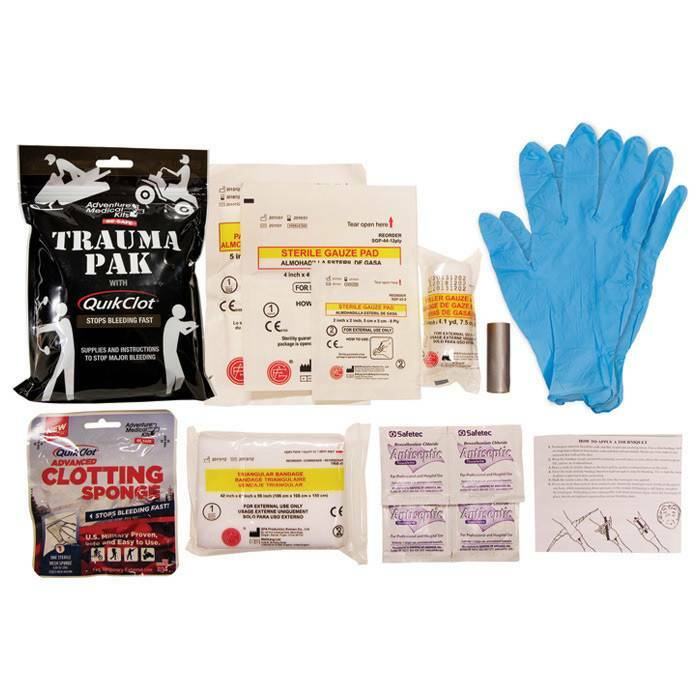 Packed in a tough, waterproof pouch sized to fit in any pocket, the Rapid Response Trauma Pak with QuikClot® is easy to deploy: just rip the top off, pull out the QuikClot® dressing to apply to any life-threatening bleeding, and use the other bandages and dressings as needed.